No change in the rate of personal income-tax and the rate of tax for companies in respect of income earned in the financial year 2015-16, assessable in the assessment year 2016-17. The aggregate receipts from such activity or activities, during the previous year, do not exceed 20% of the total receipts, of the trust or institution undertaking such activity or activities, for the previous year. Sub clause (xviii) has been inserted, assistance in form a subsidy or grant or cash incentive or duty drawback or waiver or concession or reimbursement will be taxable as “income”. It will be taxable as income regardless of the fact whether such subsidy or grant is received from central government or state government or any authority or body or agency. Further it will be taxable whether it is received in cash or kind. 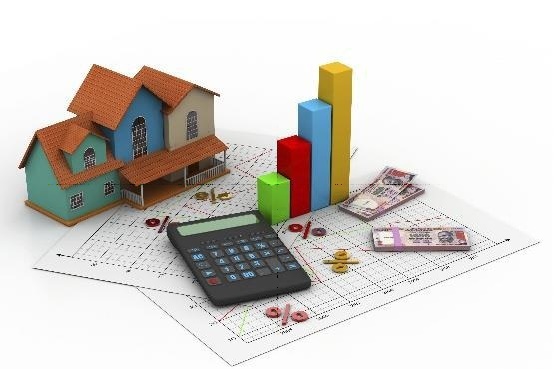 Capital asset being a unit or units, which becomes the property of the assessee in consideration of a transfer referred to in clause (xviii) of section 47. In order to facilitate consolidation of different schemes of mutual funds having similar features, it is proposed to provide tax neutrality to unit holders upon consolidation or merger of mutual fund schemes provided that the consolidation is of two or more schemes of an equity oriented fund or two or more schemes of a fund other than equity oriented fund. The cost of acquisition of the units of consolidated scheme shall be the cost of units in the consolidating scheme and period of holding of the units of the consolidated scheme shall include the period for which the units in consolidating schemes were held by the assessee. In case of shares in a company (acquired by the non-resident assessee on redemption of Global Depository Receipts referred to in section 115AC(1)(b) held by such assessee, the period shall be reckoned from the date on which a request for such redemption was made. In the case of an individual, being a citizen of India and a member of the crew of a foreign bound ship leaving India, he would be considered as resident in India if his stay in India is 182 days or more. 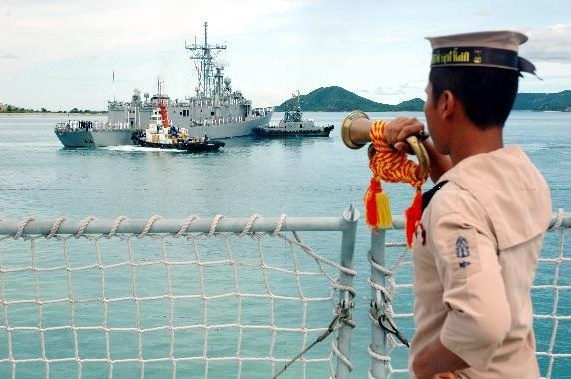 Earlier an individual, being a citizen of India, who leaves India in any previous year as a member of the crew of an Indian ship was covered under the provision. 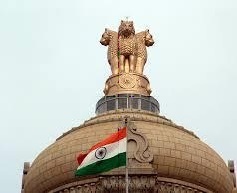 With a view to providing a uniform method of computation of period of stay in India for the purposes of determination of ‘resident’ status in the case of an India seafarer, whether working on an Indian-ship or foreign-ship, it is proposed to provide an enabling power to CBDT to prescribe the same in the rules. b.its place of effective management, at any time in that year, is in India. “place of effective management” to mean a place where key management and commercial decisions that are necessary for the conduct of the business of an entity as a whole are, in substance made. 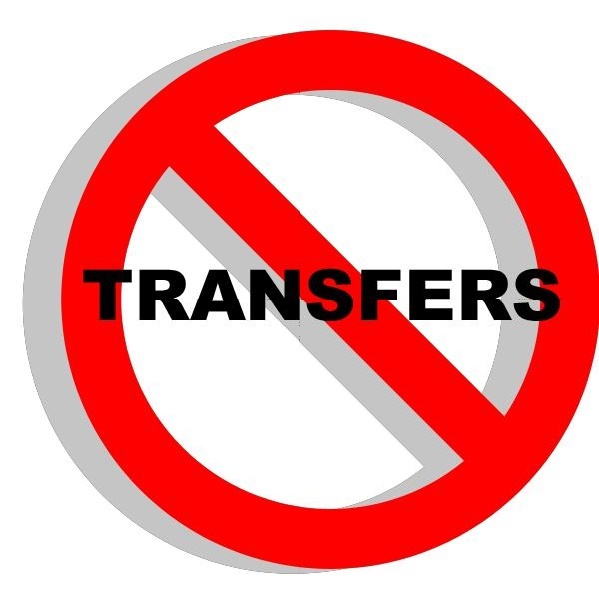 Transferor Company owns (individually and along with its associated enterprises) more than 5% shares in the company whose shares are transferred. Specified date: The specified date of valuation shall be the date on which the accounting period of the company or entity ends (i.e., 31 March, or accounting period end date, as the case may be) preceding the date of transfer. If however, the book value of assets of the company or entity on the date of transfer exceeds by at least 15% of the book value of the asset as on the last balance sheet preceding the date of transfer, then instead of the date mentioned above, the date of transfer shall be the specified date of valuation. Interest is payable by the permanent establishment in India of such non-resident to the head office or any permanent establishment or any other part of such non-resident outside India. In the case of a non-resident being a person engaged in the business of banking, any interest payable by the permanent establishment in India of such non-resident to the head office or any permanent establishment or any another part of such non-resident outside India shall be deemed to accrue in India and shall be chargeable to tax in addition to any income attributable to the permanent establishment in India. Accordingly, the PE in India shall be obligated to deduct tax at source on any interest payable to either the head office or any other branch or PE, etc. of the non-resident outside India. In the case of an eligible investment fund, the fund management activity carried out through an eligible fund manager acting on behalf of such fund shall not constitute business connection in India of the said fund. 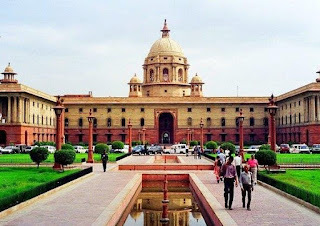 Through this sub section (1) of section 9A, the provision of existing sub-section (1) of section 9 is override, which talk about Income deemed to accrue or arise in India due to business connection. Further, an eligible investment fund shall not be said to be resident in India for this purpose merely because the eligible fund manager, undertaking fund management activities on its behalf, is situated in India. Through this sub-section (2) of section 9A, the provision of section 6 is override which contains the provisions to become resident in India. the remuneration paid by the fund to an eligible fund manager in respect of fund management activity undertaken by him on its behalf is not less than the arm’s length price of the said activity. the person along with his connected persons shall not be entitled, directly or indirectly, to more than twenty per cent of the profits accruing or arising to the eligible investment fund from the transactions carried out by the fund through the fund manager. 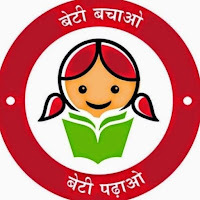 Payment from an account opened in accordance with the Sukanya Samriddhi Account Rules, 2014 made under the Government Savings Bank Act, 1873, shall not be included in the total income of the assessee. 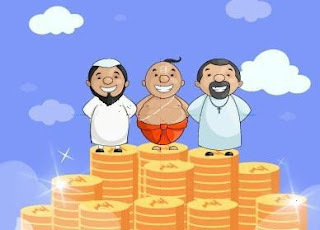 Sukanya Samriddhi Account scheme is declared as EEE (exempt-exempt-exempt) method of taxation. Income received by any person on behalf of the Swachh Bharat Kosh, set up by the Central Government and to exempt income received by any person on behalf of the Clean Ganga Fund, set up by the Central Government. Under Section 80G (Donations and Contributions to certain funds), some new funds are added in eligible fund list. Like, National Fund for Control of Drug Abuse, Swachh Bharat Kosh (donations made by any donor) and Clean Ganga Fund (donations made by domestic donors). [National Fund for Control of Drug Abuse w.e.f. A.Y. 2016-17 and other two funds w.e.f. A.Y. 2015-16]. Income from investment made by the fund. Clause (23FBA) has been inserted in section 10 to provide that any income of an investment fund other than the income chargeable under the head “Profits and gains of business or profession” shall not be included in the total income of such fund. Clause (23FBB) has been inserted in section 10 to provide that any income of a unit holder of an investment fund shall not be included in the total income of such person. Any income of REIT by way of renting or leasing or letting out any real estate asset owned directly by such business trust, shall not be included in the total income. For claiming exemption under section 11, the assesse must submits Form 10 to Assessing officer in this regard stating the purpose and period for which income has to be accumulated. 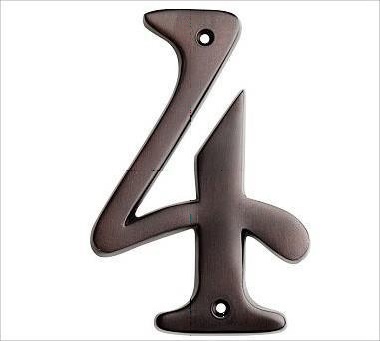 From No. 10 shall be filed before the due date of filing return of income specified under section 139(1) for the fund or institution. Is required to be furnished on or before the due date of filing return of income specified under section 139 (1) for the fund or institution. In computing the period of five years referred to in the said clause (a), the period during which the income could not be applied for the purpose for which it is so accumulated or set apart, due to an order or injunction of any court, shall be excluded. If the asset is put to use for less than 180 days in the year of acquisition, then additional depreciation would be 10% of the cost of acquisition in the first year and the balance 10% would be available in the immediately succeeding previous year. The assesse may be a company or any other person. He/it acquires and installs (for the purposes said undertaking) a “new asset”. The new assets are acquired and installed for the purposes of the said undertaking or enterprise during the period beginning from the 1st April, 2015 to 31st March, 2020. 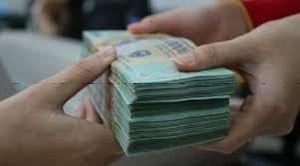 Withdrawal of investment allowance: The new asset should not be sold or otherwise transferred within a period of 5 years from the date of its installation .If the new asset is sold or transferred within 5 years from its installation, the amount of investment allowance allowed to the assesse shall be deemed to be the income of the assesse for the previous year in which such asset is sold or otherwise transferred. 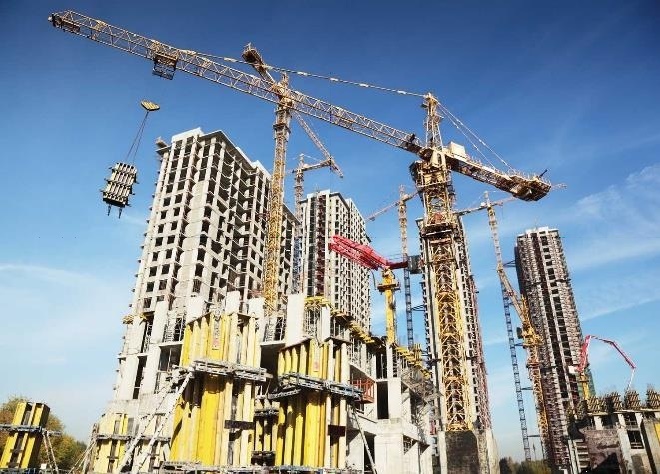 Investment in notified backward area in Andhra Pradesh, Bihar, West Bengal or Telangana will qualify for additional depreciation at the rate of 35% (instead of 20%). If however the new plant is put to use for less than 180 days the additional depreciation shall be limited to 17.5% of actual cost in that year. The balance 17.5% is allowed in the immediately succeeding previous year. The eligible machinery or plant for this purpose shall not include the machinery or plant which is currently not eligible for additional depreciation as per the existing proviso to the section 32(1)(iia). Normal depreciation will be available on the basis of written down value of the block of assets on the last date of the previous year. 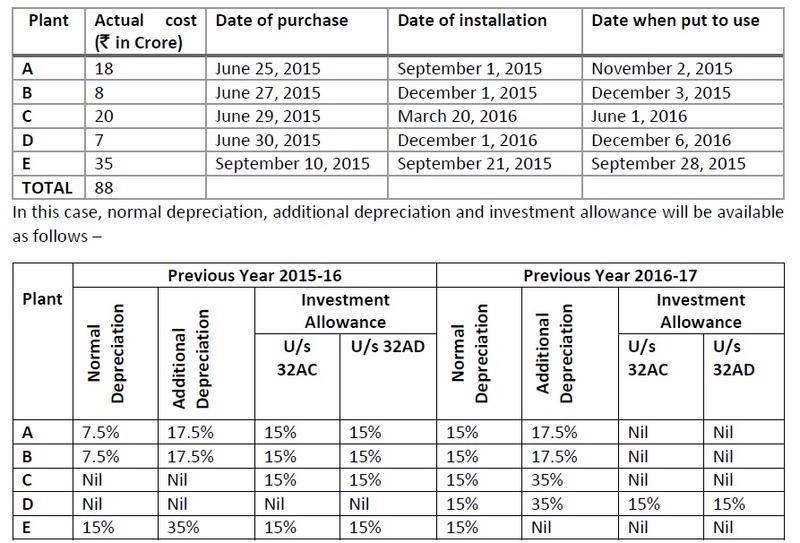 Additional depreciation will be available on the basis of actual cost of the assets. Investment allowance will be available on the basis of actual cost of the assets. 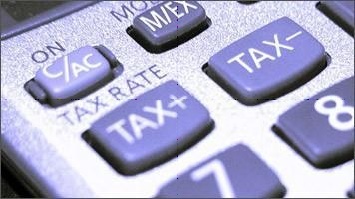 However, it will be subject to minimum alternate tax. If the above undertaking id set-up by a concern other than a company, investment allowance under section 32AC will not be available. One can claim investment allowance under section 32AD. Section 32AD in the case of non-corporate assessee will not be subject to alternate minimum tax. Deduction under section 35(2AB) shall be allowed only if the company enters into an agreement with the prescribed authority for co-operation in such research and development facility and fulfills prescribed conditions with regard to maintenance and audit of accounts and also furnish prescribed reports. 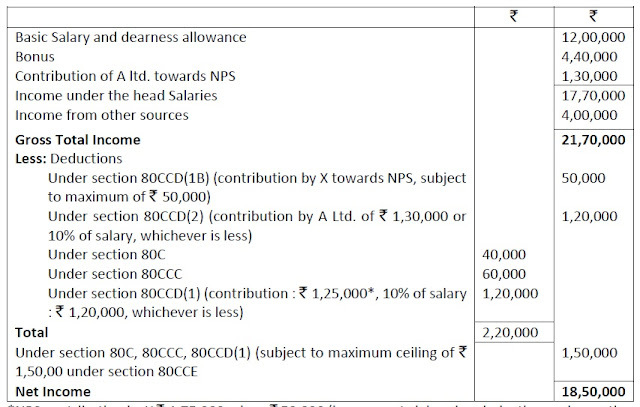 Reference to the Principal Chief Commissioner has been inserted in the section 35(2AA) and section 35(2AB) so that the report referred to therein may be sent to the principal Chief Commissioner and Chief Commissioner having jurisdiction over the company claiming the weighted deduction under the said section. In the books of account, the interest liability may (may not be) capitalised. 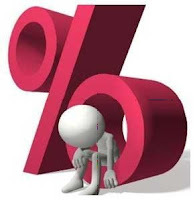 If the above conditions are satisfied, then interest liability for the period commencing from the date of borrowing till the date on which such asset is first put to use, shall not be allowed as deduction under section 36(1)(iii) (it may be capitalised to claim depreciation and investment allowance). The above rule is applicable on in the case of extension of an existing business. 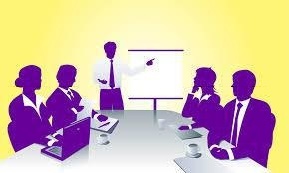 It is not applicable in the case of a new business or in the case of an existing business where there is no extension. Interest on capital borrowed to finance asset acquisition in such cases is allowable as deduction, even if the interest liability pertains to the period before the asset is first put to use. To avoid this current mischief, the words “for extension of existing business or profession” have been omitted in the said proviso. After the amendment, the said proviso will be applicable even in the case of a new business or in the case of an existing business when there is no extension. Bad Debts: Bad debts are allowed as deduction in the year in which such debts are written off in the books of account of the assessee. This rule is applicable if such debt has been taken into account in computing the income of the assessee of the current year or earlier year. If such debt becomes irrecoverable on the basis of Income Computation and Disclosure Standards ((ICDS), notified under section 145(2)) without recording the same in the accounts, deduction is not available under the existing provisions of section 36. Second proviso has been inserted in section 36(1)(vii). It provides that if a debt becomes irrecoverable on the basis of ICDS without recording the same in the accounts, it shall be allowed as deduction in the previous year in which such debt becomes irrecoverable and it shall be deemed that such debt has been written off as irrecoverable in the accounts for the purpose of section 36(1)(iii). Clause (xvii) has been inserted in section 36(1). Under this clause, deduction will be allowed in respect of expenditure incurred by a co-operative society (engaged in the business of manufacture of sugar) for purchase of sugarcane at a price which is equal to (or less than) the price fixed or approved by the Government. Clause (viab) and (vicc) Capital gains shall be exempt in respect of transfer of share of a foreign company (deriving value of assets substantially from assets situated in India) on account of amalgamation or demerger of foreign companies. Clause (xviii) provides that capital gains shall not apply to any transfer by a unit holder of a capital asset, being a unit or units, held by him in the consolidating scheme of a mutual fund, if the transfer is made in consideration of the allotment to him of any unit or units in the consolidated scheme of the mutual fund under the process of consolidation of the schemes of mutual fund in accordance with the Securities and Exchange Board of India (Mutual Funds) Regulations, 1996 made under the Securities and Exchange Board of India Act, 1992. The cost of acquisition of units of consolidated scheme shall be the cost of units in the consolidating scheme. Period of holding of the units of the consolidated scheme shall include the period for which the units in consolidating schemes were held by the assesse. Where shares in a company is acquired by a non-resident assessee on redemption of global Depository Receipts, the cost of acquisition of such shares shall be calculated on the basis of the price prevailing on any recognised stock exchange on the date on which a request for such redemption was made. 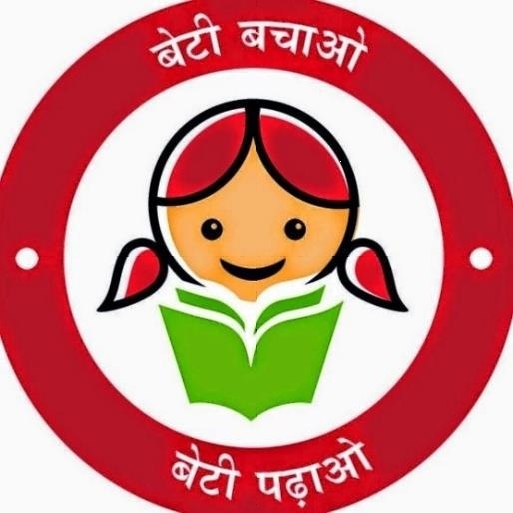 Sum paid or deposited during the year in the Sukanya Samriddhi Account Scheme as a subscription in the name of any girl child of the individual or in the name of any girl child for whom such individual is the legal guardian, would be eligible for deduction under section 80C, if the scheme so specifies. Limit on deduction on account of contribution to a pension fund of LIC or IRDA approved insurer from Rs.1 lakh to Rs.1.5 lakh. Deduction in respect of contribution by the employee to National Pension Scheme (NPS) increased from Rs. 1 lakh to Rs.1.50 lakh. It is also proposed to provide a deduction of upto Rs.50,000 over and above the limit of Rs.1.50 lakh in respect of contributions made to NPS. X is in service of A Ltd. since 1989. 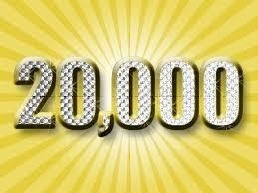 Currently, his basic salary plus dearness allowances is Rs.12,00,000. He contributes Rs. 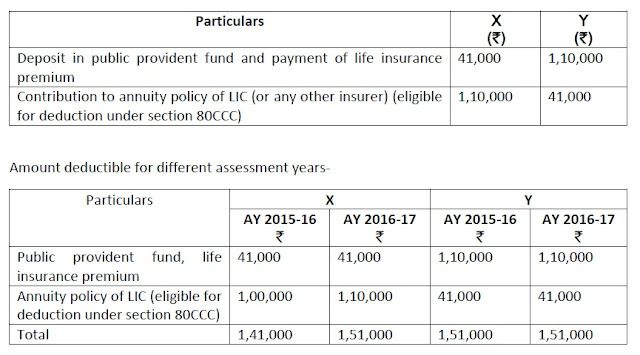 1,75,000 towards NPS, deposits Rs.40,000 in PPF and deposits Rs.60,000 towards annuity plan of LIC which is eligible for deduction under section 80CCC (total investment in NPS, annuity plan and PPF is Rs.2,75,000. A Ltd. contributes Rs. 1,30,000 towards NPS and gives annual bonus of Rs.4,40,000. Bank FD interest of X for the previous year 2015-16 is Rs.4,40,000. X is a businessman. His business income for the assessment year 2016-17 is Rs.15,60,000. He deposits Rs.1,50,000 in public provident fund. HE contributes Rs.50,000 towards NPS during the previous year 2015-16. 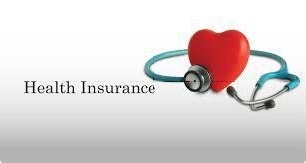 The limit of deduction u/s 80D in respect health insurance premia of the Income-tax Act from Rs.15,000 to Rs.25,000 (in case of senior citizen from Rs.20,000 to Rs.30,000). For very senior citizen who do not qualify for health insurance, Rs. 30,000 in medical expense will qualify for deduction. The limit from A.Y. 2016-17 to Rs.75000 from existing Rs.50,000/- and for person with severe disability to Rs.1.25 lakh from existing Rs.1 Lakh. In case of super senior citizens-expenditure in respect of the medical treatment of a super senior citizen from Rs. 60,000 to Rs.80,000. X’s father is not dependent on X. The above expenditure of Rs.1,30,000 is incurred for the medical treatment of X’s brother (68 years who is dependent on him. 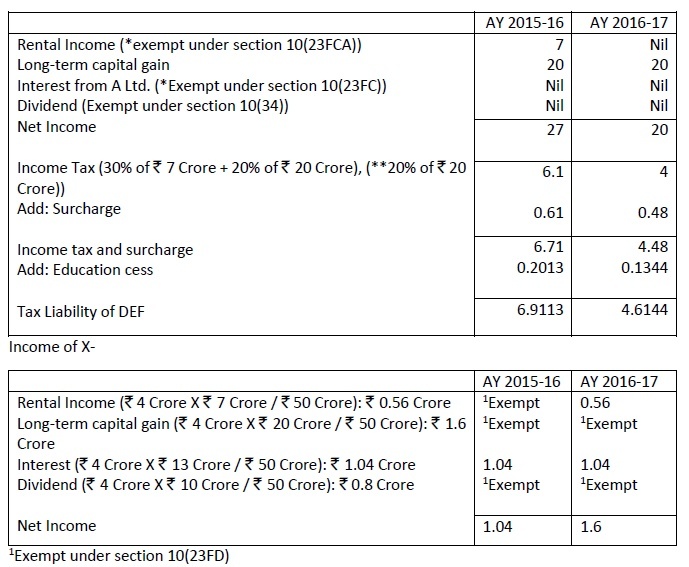 Where the gross total income of any assessee includes any profits and gains derived from the manufacture of goods in a factory, the assessee shall be allowed a deduction equal to 30% of additional wages paid to the new regular workmen employed by the assessee in such factory, in the previous year, for three assessment years including the assessment year relevant to the previous year in which such employment is provided. The benefit under the section 80JJAA has been extended to all the assessees having manufacturing units rather than restricting it to corporate assesses only. Deduction allowed if the factory is acquired by the assessee by way of transfer from any other person or as a result of any business reorganisation. Tax benefit under the said section shall be available to a ‘person’ deriving profits from manufacture of goods in a factory and paying wages to new regular workmen. The eligibility threshold of minimum 100 workmen is reduce to 50. X Ltd. is a manufacturing company. It owns a factory in Orissa since 2008. X Ltd. is not eligible for any deduction under section 80JJAA up to the assessment year 2015-16, as it employees less than 100 workmen in the factory. On March 31, 2015, it has 49 workmen out of which 3 are casual workmen. On May 1, 2015, the company engages 8 “regular workmen” (wages being Rs.6,000 per month). Discuss whether deduction is available under section 80JJAA. Deduction under section 80JJAA is not available in the case of an existing assessee if number of newly appointed “regular workmen” is lower than 10% of the strength of “workmen” as on the last day of the preceding year. In this case, X Ltd. had 49 workmen on March 31, 2015. 10 % of it comes to 4.9. 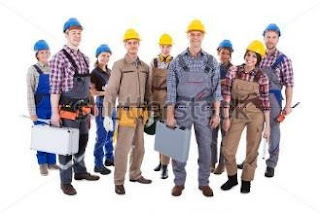 Deduction under section 80JJAA is not available if number of newly appointed regular workmen is 4 or less than 4 (such number should be 5 or more than 5). In this case, the company has appointed 8 regular workmen during the previous year 2015-16. Therefore, deduction is available under section 80JJAA. However, no deduction is available in respect of wages payable to initial 50 workmen. Therefore, the amount of deduction under section 80JJAA is Rs.1,38,600 (30% of Rs.6000 X 11 months X 7 regular workmen). Besides, wages payable to all 57 workmen would be deductible under section 37(1). Increase in the limit of deduction u/s 80U of the Income-tax Act in case of a person with disability, from Rs.50,000 to Rs.75,000. It is also proposed to increase the limit of deduction from Rs.1 lakh to Rs.1.25 lakh in case of severe disability. The existing threshold limit for specified domestic transactions of Rs.5 Crore under section 92BA has been extended to Rs.20 Crore from the assessment year 2016-17. With effect from 1 April 2016. Applicability of General Anti Avoidance Rule (GAAR) has been deferred by 2 years. Accordingly, it will be applicable for income of the financial year 2017-18 (A.Y. 2018-19) and subsequent years. In case of a non-resident taxpayer, where the total income includes any income by way of Royalty and Fees for technical Services received under an agreement entered after the 31st March, 1976, and which are not effectively connected with permanent establishment, if any, of the non-resident in India, the rate of tax on the gross amount of such income shall be 10%. (Earlier 25%). Share of profit from AOP, credited to the profit and loss account of the company (on which no income tax is payable in accordance with the provisions of Sec-86), shall be excluded while computing book profit. 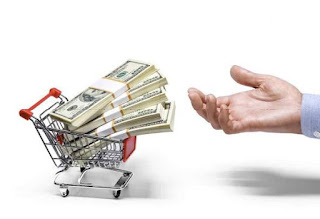 Any expenditure (debited to the profit and loss account), corresponding to such income, shall be added back to convert net profit into book profit. 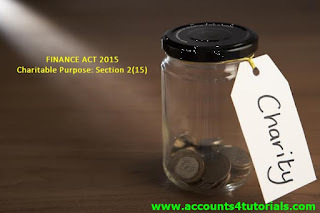 MAT provision under section 115JB not to apply to capital gain arising on transactions in securities and interest, royalty or technical fees chargeable to tax under sections 115A to 115BBE. 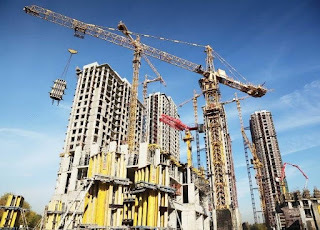 In respect of Real Estate Investment Trusts (REITs) and Infrastructure Investment Trusts (INvITs), the sponsor will be given the same treatment on offloading of units at the time of listing as would have been available to him if he had offloaded his shareholding of special purpose vehicle (SPV) at the stage of direct listing. Further, the rental income arising from real estate assets directly held by the REIT shall be allowed to pass through and to be taxed in the hands of the unit holders of the REIT. The distributed income or any part thereof, received by a unit holder from the business trust, being a real estate investment trust, which is in the nature of income by way of renting or leasing or letting out any real estate asset owned directly by such business trust, shall be deemed to be income of such unit holder and shall be charged to tax. The Finance Act, 2004 has been amended (with effect from June 1, 2015) to provide that STT shall be levied on sale of such units of business trust which are required in lieu of shares of SPV, under an Initial offer at the time of listing of units of business trust on similar lines as in the case of sale of unlisted equity shares under an IPO. Section 111A has been amended (with effect from the assessment year 2016-17) to provide the benefit of concessional tax regime of tax at 15 percent on short-term capital gain. Similarly, section 10(38) has been amended (with effect from the assessment year 2016-17) to provide exemption to long-term capital gain. These benefits will be available to the sponsor on sale of units received in lieu of shares of SPV subject to levy of STT. Any income of a business trust, being REIT by way of renting or leasing or letting out any real estate asset owned directly by such business trust shall be exempt under section 10(23FCA). The distributed income (or any part thereof) received by a unit holder from the REIT, which is in the nature of income by way of renting or leasing or letting out any real estate asset owned directly by such REIT, shall be deemed to be income of such unit holder and shall be charged to tax. The REIT shall deduct tax at source on rental income allowed to be passed through. 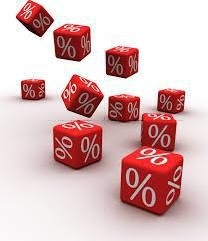 In case of resident unit holder, tax shall deducted at the rate of 10 % under section 194LBA and in case of distribution to non-resident unit holder, the tax shall be deducted at the rate in force as applicable for deduction of tax on payment to the non-resident of any sum chargeable to tax (i.e., at 30 % (+SC+EC+SHEC) if the recipient is a non-resident (not being a foreign company) or at 40 % (+SC+EC+SHEC) if the recipient is a foreign company. No deduction shall be made under section 194-I where the income by way of rent is credited or paid by a tenant to a business trust, being a REIT, in respect of any real estate asset held by such REIT. 500 units are transferred on March 30, 2015. 300 units are transferred on May 10, 2015. 200 units are transferred on June 10, 2015. Transfer of 500 units on March 30, 2015 – Capital gain is taxable for the assessment year 2015-16.The amended provisions are applicable form the assessment year 2016-17. Long-term capital gain/short-term capital gain will be taxable under normal provisions. The concessional tax treatment of section 111A in the case of short-term capital gain and exemption under section 10(38) are not available. Transfer of 300 units on May 10, 2015 – Units are transferred during the previous year 2015-16 (i.e., assessment year 2016-17). The amended provisions of sections 10(38) and 111A are applicable from the assessment year 2016-17. However, the concession given by these sections is applicable only if securities transaction tax is payable. For this purpose, the Finance (No. 2) Act, 2004 is amended only from June 1, 2015. On May 10, 2015, securities transaction tax is not applicable. Consequently, long-term capital gain/short-term capital gain will be taxable under normal provisions. In the absence of securities transaction tax, the concessional tax treatment of section 111A in the case of short-term capital gain and exemption under section 10(38) are not available. Transfer of 200 units on June 10, 2015 - Units are transferred during the previous year 2015-16 (i.e., assessment year 2016-17). Securities transaction tax is applicable from June 1, 2015. Short-term capital gain will be taxable in the hands of X under section 111A at the rate of 15% (+SC+EC+SHEC). However, long-term capital gain will be exempt by virtue of section 10(38). DEF distributes Rs.40 Crore to its unit holders. X is one of the unit holders. He holds 10 % units in DEF and is entitled to Rs.4 Crore (before TDS). The above information pertains to (a) previous year 2014-15 (Situation 1) or (b) previous year 2015-16 (Situation 2). The asset seized under section 132 or requisitioned under section 132A may be adjusted against the amount of existing liability under the Income tax act, Wealth tax act and the amount of liability determined on completion of assessment. These provision has been amended w.e.f June 1, 2015 to provide that the asset seized under section 132 or requisitioned under section 132A may be adjusted against the amount of liability arising on an application made before the Settlement commission under section 245C(1). is beneficiary in any asset (including any financial interest in any entity) located outside India. Upto 4 years from the end of relevant assessment year without the approval of Joint commissioner. Beyond 4 years from the end of relevant assessment year without the approval of the Principal Chief Commissioner or commissioner. 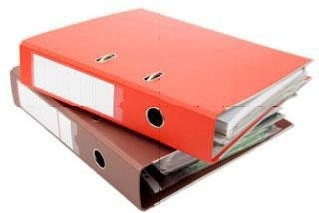 any books of account or documents, seized or requisitioned, pertains or pertain to, or any information contained therein, relates to a person other than the person referred to in section 153A, then, the books of account or documents or assets, seized or requisitioned, shall be handed over to the Assessing Officer having jurisdiction over such other person and that Assessing Officer shall proceed against each such other person. 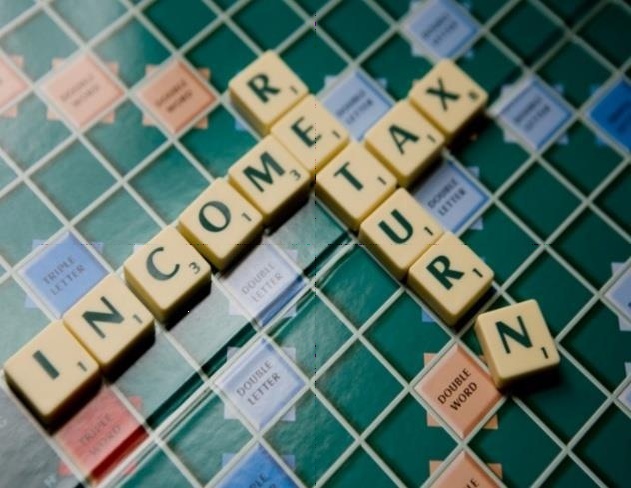 An income tax authority may amend an intimation issued under section 206CB(1). In addition to assessee or deductor, reference of “collector” to be inserted so as to provide a reasonable opportunity of being heard to collector in accordance with the provision of section 154(3). Where any sum is determined to be payable by the assessee or the deductor or the collector under sub-section 143 (1) or section 200A (1) or section 206CB (1), the intimation under those sub-sections shall be deemed to be a notice of demand. This section is applicable when department is in appeal before the Supreme Court. It provides that where there is question of law arising in the case of an assessee for any year is identical with the question of law arising in case of another assessment year which is pending before the Supreme Court )in an appeal or in a special leave petition)filed by the revenue, against the order of the High Court in favour of the assessee, the Commissioner or the Principal Commissioner, diret the AO to make an application to the Appellate Tribunal in the prescribed form within 60 days from the receipt of order of the Commisioner (Appeals) stating that an appeal on the question of law arising in the relavent case may be filed when the decision on the question of law becomes final in the earlier case. The commissioner or Principal Commissioner shall proceed under above provisions only if an acceptance is received from the assessee to the effect that the question of law in the other case is identical to that arising in the relevant case. However, in case no such acceptance is received the commissioner shall proceed in accordance with the provisions contained in section 253(2)/(2A) and, accordingly, may, if he objects to the order passed by the commissioner (Appeals), direct the Assessing Officer to appeal to the Appellate Tribunal. Where the order of the Commissioner (Appeals) is not in conformity with the final decision on the question of law in the other case (if the supreme Court decides the earlier case in favour of the Department), the Commissioner or Principal Commissioner may direct the Assessing Officer to appeal to the Appellate Tribunal against such order within 60 days from the date on which the order of Supreme Court is communicated to the Commissioner or Principal Commissioner. Section 192 has been amended with effect from June 1, 2015. Amended provisions provide that the person responsible for paying salary shall obtain from the recipients evidence or proof or particulars of the prescribed claim (including claim for set-off of house property loss) under the provisions of the Act in the prescribed form and manner. 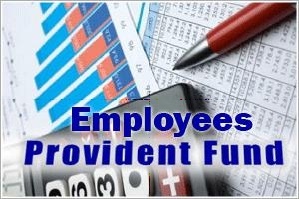 The trustees of the Employees’ Provident Fund Scheme, or any person authorised under the scheme to make payment of accumulated balance due to employees, shall, in a case where the accumulated balance due to an employee participating in a recognised provident fund is includible in his total income, at the time of payment of accumulated balance due to the employee, deduct income-tax thereon at the rate of ten per cent. No deduction under the aforesaid section shall be made where the amount of such payment or, as the case may be, the aggregate amount of such payment to the payee is less than thirty thousand rupees. Interest by co-operative bank to its members: The provisions of sub-section (1) of section 194A shall not apply to income credited or paid by a co-operative society (other than a co-operative bank) to a member thereof or to such income credited or paid by a co-operative society to any other co-operative society. 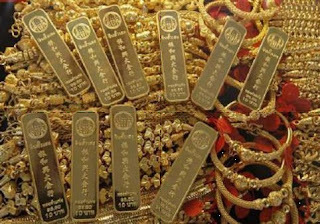 Recurring deposit interest is now subject to TDS: Payment of interest on recurring deposits by banking company or co-operative bank is currently not subject to TDS. The scope of TDS provisions has been extended to cover interest on recurring deposits within its scope for the purposes of deduction of tax under section 194A. However, the existing threshold limit of Rs.10,000 for non-deduction of tax shall also be applicable in case of interest payment on recurring deposits to safeguard interests of small depositors. Computation of threshold limit of Rs.10,000 to be made entity wise not branch wise. Tax to be deducted on interest on compensation awarded by Motor Accidents Claims Tribunal only at the time of payment: The provisions of sub-section (1) of section 194A shall not apply to income paid by way of interest on the compensation amount awarded by the Motor Accidents Claims Tribunal where the amount of such income or, as the case may be, the aggregate of the amounts of such income paid during the financial year does not exceed fifty thousand rupees. furnishes a declaration to that effect along with his Permanent Account Number, to the person paying or crediting such sum. Rs. 6,20,000 to A Ltd on May 1, 2015 (A Ltd owns 25 goods carriages during the financial year 2015-16). Rs.11,70,000 to B & Co., a partnership firm of B,C and D, on December 1, 2015 (B & Co. owns 9 goods carriages on April 1, 2015 and it purchases 5 goods carriages on November 1, 2015). Partner B owns 40 goods carriages in his sole proprietary capacity. Rs.5,90,000 to C on June 15, 2015. C is not in the business of plying of goods carriages up to April 10, 2015. Business of carriage of goods is newly started on April 11, 2015 by purchasing 50 goods carriages. Rs.8,45,000 to D Ltd on January 1, 2016. D Ltd is in the business of carriage of goods and passengers. On April 1, 2015, it owns 11 goods carriages. It transfers 2 old goods carriages on November 10, 2015 and purchases 5 new goods carriages on November 12, 2015. Besides, it owns 17 air-conditioned buses. Besides, X Ltd pays Rs.2,30,000 to E Ltd on January 10, 2016. 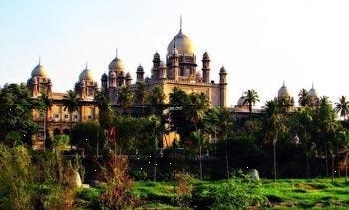 The payment pertains to transportation of employees of X Ltd in the city of Hyderabad. E Ltd does not own more than 10 buses during the financial year 2015-16. X Ltd has PAN of A Ltd, B & Co, C, D Ltd and these persons have submitted relevant declaration about the ownership of goods carriages/buses for the purpose of non0deduction of tax under section 194C. Point for consideration is whether tax is deductible under section 194C. Payment to A Ltd. – Payment is made on May 1, 2015. Recipient is transport contractor who is in the business of plying goods carriages. Recipient has given PAN to X Ltd tax is not deductible under section 194C. The amended provisions are applicable from June 1, 2015. Payment to B & Co. – This payment is made on December 1, 2015. Amended provisions are applicable. Recipient is in the business of plying goods carriages. Recipient has submitted a declaration (along with its PAN) that it owns 10 (or less than 10) goods carriages at any time during the FY 2015-16 (it owns 9 goods carriages before November 1, 2015 and 14 goods carriages afterwards, goods carriages owned by partners in their individual capacity are not considered for this purpose). Consequently, tax is not deductible under section 194C. It may be noted that if the recipient owns 10 (or less than 10) goods carriages even for 1 day during the FY, tax is not deductible throughout the entire FY (submission of declaration to this effect along with PAN is, however, required). Payment to c – Payment is made on June 15, 2015. Amended provisions are applicable. C does not own any goods carriages up to April 10, 2015. He can give a declaration that he owns 10 (or less than 10) during April 11, 2015 and April 10, 2015. Consequently, tax is not deductible under section 194C. Payment to D Ltd. – D Ltd owns only 9 goods carriages on November 11, 2015. 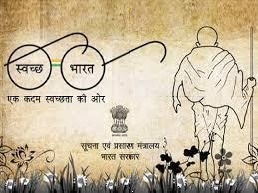 D Ltd had given a declaration to this effect. No tax is deductible under section 194C. Payment to E Ltd. – Payment to E Ltd pertains to carriage of passengers (not carriage of goods). Exemption is not applicable. 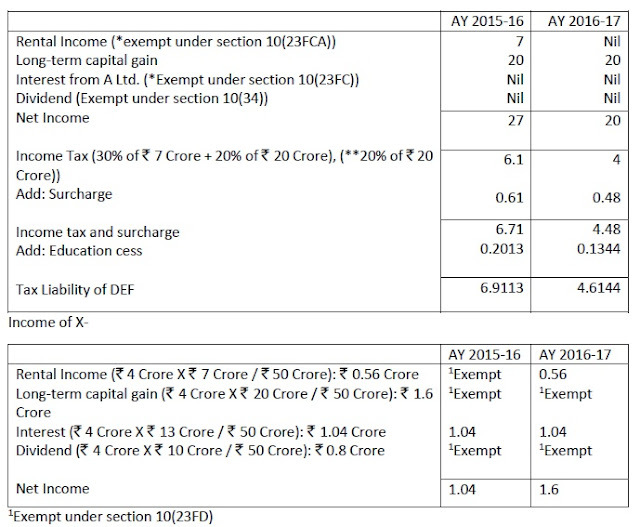 Tax is deductible under section 194C even if the recipient owns 10 (or less than 10) buses. No deduction shall be made under the section where the income by way of rent is credited or paid to a business trust, being a real estate investment trust, in respect of any real estate asset, referred to in clause (23FCA) of section 10, owned directly by such business trust. Any income other than that proportion of income which is of the same nature as income referred to in clause (23FBB) of section 10, is payable to a unit holder in respect of units of an investment fund specified in clause (a) of the Explanation 1 to section 115UB, the person responsible for making the payment shall, at the time of credit of such income to the account of payee, or at the time of payment thereof in cash or by issue of a cheque or draft or by any other mode, whichever is earlier, deduct income-tax thereon at the rate of ten per cent. The period of applicability of reduced rate of tax at 5% in respect of income of foreign investors (FIIs and QFIs) from corporate bonds and government securities, from 31.5.2015 to 30.06.2017. The provisions of section 195(6) have been amended with effect from June 1, 2015. The amended provisions provide that the person responsible for paying to a non-resident/foreign company, any sum (whether or not chargeable under the provisions of this Act in the hands of recipient) shall furnish the information relating to payment of such sum, in such form and manner, as may be prescribed. The facility of filing self-declaration of non-deduction of tax in Form No. 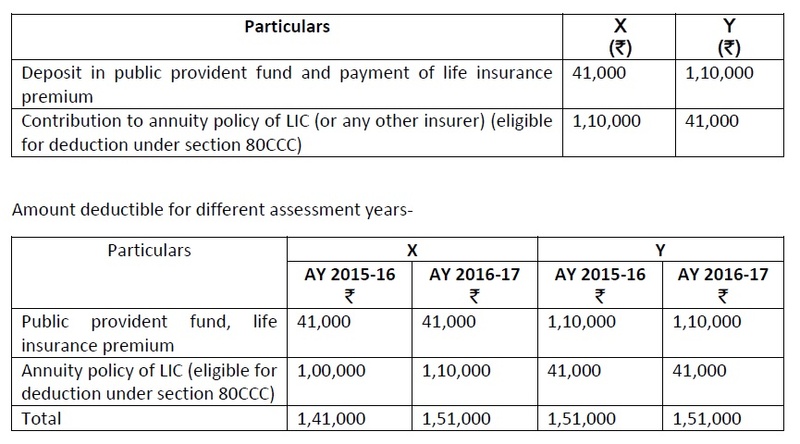 15G/ 15H by the recipients of taxable maturity proceeds of life insurance policy (section 194DA) and payment of accumulated balance of provident fund (section 192A). 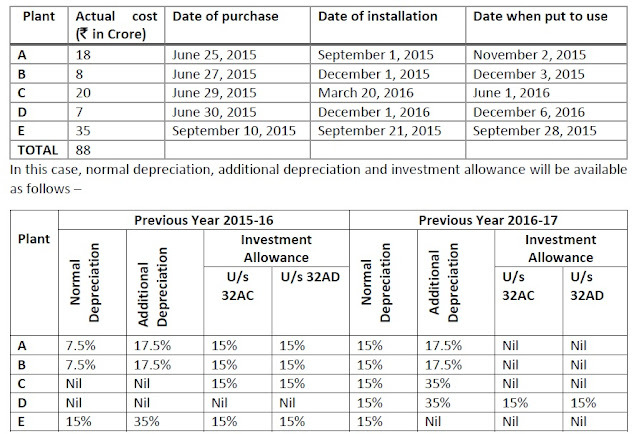 Sub-section (2A) has been inserted in section 200 with effect from June 1, 2015. It provides that in case of an office of Government, where TDS has been paid to the credit of the Central Government without the production of a Challan, the Pay and Accounts Officer/ Treasury Officer/ Cheque Drawing and Disbursing Officer/ any other person, who is responsible for crediting TDS to the credit of the Central Government, shall deliver to the prescribed income-tax authority, or the person authorised by such authority, a statement in such form, verified in such manner, setting forth such particulars and within such time as may be prescribed. Section 200A provides for processing of TDS statements for determining the amount payable or refundable to the deductor. However, as section 234E was inserted after the insertion of section 200A, the existing provisions of section 200A do not provide for determination of fee payable under section 234E at the time of processing of TDS statements. Therefore, the above provision has been amended with effect from June 1, 2015 so as to enable computation of fee payable under section 234E at the time of processing of TDS statement under section 200A. An assessee becomes eligible to approach Settlement Commission only for the assessment year for which notice under Sec- 148 has been issued. - From the date of issuance of such notice, for any other AYs for which a notice under sec 148 has not been issued but could have been issued on such date, if the return of income has been furnished u/s 139 or in response to Sec- 142. 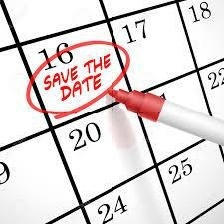 Sub section 3 of section 234B has been amended to provide that the period for which the interest is to be computed will begin from Ist day of April following the FY and end on the date of determination of total income u/s 147 or sec153A. Similarly, sub section 2A(a) has been introduced to provide that the assessee shall be liable to pay simple interest @ 1% on additional amt of income tax on income offered under sub sec (1) of section 245 from the date of relevant AY to the date of making such application and sec 2A(b) provide if the amount offered is increased by SC then, interest @ 1% on tax on enhanced income from the end of relevant AY to date of order. With effect from April 1, 2015, a person shall be qualified for appointment as law Member from the Indian Legal Service, if he is an Additional Secretary to the Government of India or if he is qualified to be an Additional Secretary to the Government of India. An assessee aggrieved by the order passed by the prescribed authority under sub-clause (vi) or sub-clause (via) of clause (23C) of section 10 may prefer an appeal to the Appellate Tribunal. 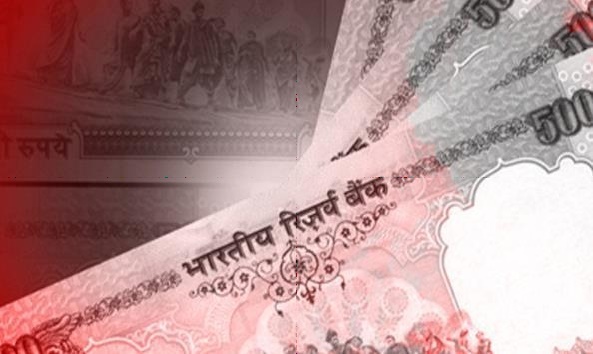 In order to curb generation of black money by way of dealings in cash in immovable property transactions, sections 269SS and 269T have been amended with effect from June 1, 2015. After the amendment, no person shall accept from any person any loan or deposit or any sum of money, whether as advance or otherwise, in relation to transfer of an immovable property otherwise than by an account-payee cheque/draft or by electronic clearing system through a bank account, if the amount of such loan or deposit or such specified sum is Rs.20,000 or more. 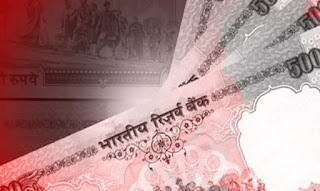 Likewise, no person shall repay any loan or deposit made with it or any specified advance received by it, otherwise than by an account-payee cheque/draft or by clearing system through a bank account, if the amount or aggregate amount of loans or deposits or specified advances is Rs.20,000 or more. 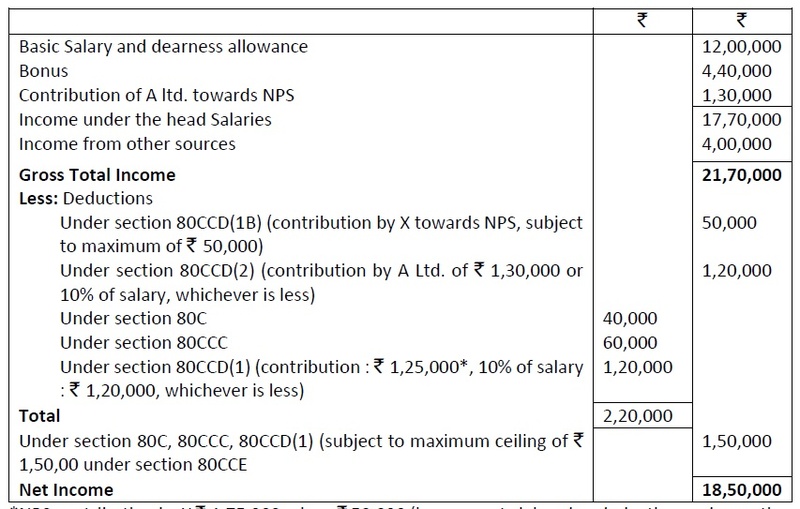 Under the existing provision contained in section 271(1)(c) penalty for concealment of income or furnishing inaccurate particulars of income is levied on the “amount of tax sought to be evaded”, which has been defined, inter alia, as the difference between the tax due on the income assessed and the tax which would have been chargeable had such total income been reduced by the amount of concealed income. D = Amount of tax that would have been chargeable had the total income assessed as per the provisions contained in section 115JB or section 115JC been reduced by the amount of income in respect of which particulars have been concealed or inaccurate particulars have been furnished. Section 271D provides that if a person accepts any loan or deposit in contravention of the provisions of section 269SS, he shall be liable to pay, by way of penalty, a sum equal to the amount of the loan or deposit so accepted. “specified sum” in section 271D and “specified advance” in section 271E consequent to the modification in sections 269SS and 269T. “Specified advance” means any sum of money any sum of money in the nature of an advance, by whatever name called, in relation to transfer of an immovable property whether or not the transfer takes place. If any eligible investment fund which is required to furnish a statement or any information and document under sub-section (5) of section 9A fails to furnish such statement or information and the document within 90 days from the end of the previous year, the concerned income tax authority may direct that such fund shall pay, by way of penalty, a sum equal to Rs.5,00,000. a sum Rs.5,00,000 in any other case. 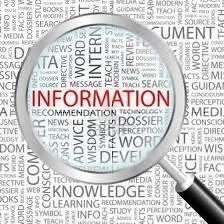 If a person, who is required to furnish information under subsection (6) of section 195, fails to furnish such information; or furnishes inaccurate information, the Assessing Officer may direct that such person shall pay, by way of penalty, a sum of Rs.1,00,000. If any person fails to deliver (or cause to be delivered) a statement within the time as may be prescribed under section 200(2A) or section 206C(3A), then such person shall pay, by way of penalty, a sum of Rs.100 for every day such default. 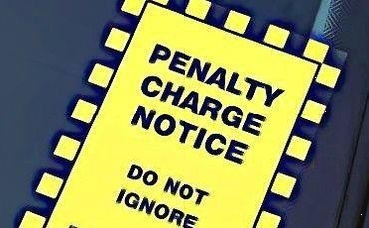 The above penalty shall not exceed the amount of tax deductible or tax collectible, as the case may be. 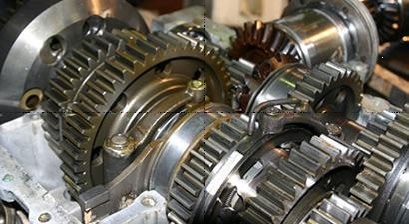 Where any share or interest in a company or entity registered or incorporated outside India derives, directly or indirectly, its value substantially from the assets located in India as referred to in the Explanation 5 to clause (i) of sub-section (1) of section 9, and such company or, as the case may be, entity holds such assets in India through or in an Indian concern, then, any such Indian concern shall, for the purposes of determination of income accruing or arising in India, under the clause (i) of sub-section (1) of section 9, furnish within the prescribed period to the prescribed income-tax authority the relevant information or document, in such manner and form as is prescribed in this behalf. The following Chartered Accountants will not be eligible to furnish audit reports and certificates under different provisions of the Income-tax Act. However, these persons can attend income-tax proceeding before income-tax authorities and ITAT as authorised representative on behalf of the assessee. vi. a person who has been convicted by a court of an offence involving fraud and a period of ten years has not elapsed from the date of such conviction. ix. a person who has been convicted by a court of an offence involving fraud and a period of ten years has not elapsed from the date of such conviction. any lineal descendant of a brother or sister of either the individual or of the spouse of the individual. Tax audit under section 44AB for D( D is a sole proprietor having turnover of Rs.5.5 Crores)for the assessment year 2015-16 (professional fees Rs.105000). X holds appointment as a statutory auditor of more than 20 companies on June 6, 2015. He will to vacate the office of the statutory auditor of more than 20 companies on June 6, 2015. He will have to vacate the office of the statutory auditor of one of the companies. Till he vacates the office of the statutory auditor of one of the companies, he cannot sign and upload any report/certificate pertaining to a company. However, there is no such limitation for report/certificate pertaining to a person other than company. Consequently, X is not competent to sign and upload audit reports pertaining to A ltd and C Ltd on June 6, 2015. Slump sale report for B & co and tax audit report of D can be signed and uploaded on June 6, 2015. 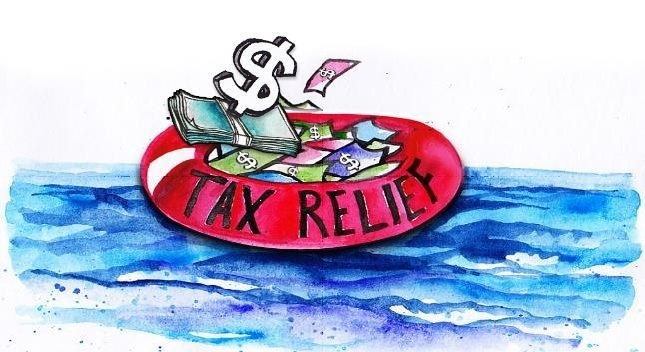 The Board may, by rules, provide the procedures for the granting of relief or deduction, as the case may be, of any income-tax paid in any country or specified territory outside India, under section 90 or section 90A or section 91, against the income-tax payable under this Act. Levy of wealth tax under the Wealth-tax act has been abolished with effect from the assessment year 2016-17. The Finance (No. 2), 2004 has been amended with effect from June 1, 2015 to provide that securities transaction tax (STT) shall be levied on sale of such units of business trust which are acquired in lieu of shares of SPV, under an initial offer at the time of listing of units of business trust on similar lines as in the case of sale of unlisted equity shares under an IPO. It shall be payable by the seller at the rate of 0.2 per cent and collected by the lead merchant banker appointed by the business trust in respect of an initial offer.